How to determine the date of production/manufacture or age of Hydraulics Institute® HVAC Systems. 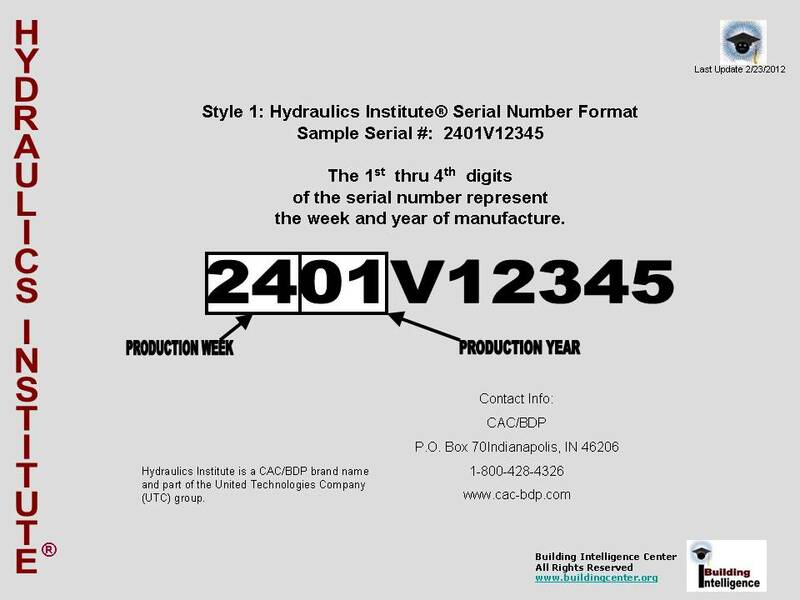 The date of production/manufacture or age of Hydraulics Institute® HVAC equipment can be determined from the serial number located on the data plate. Parent Company: CAC/BDP brand name and part of the United Technologies Company (UTC) group. The 1st thru 4th digits of the serial number represent the week and year of manufacture.